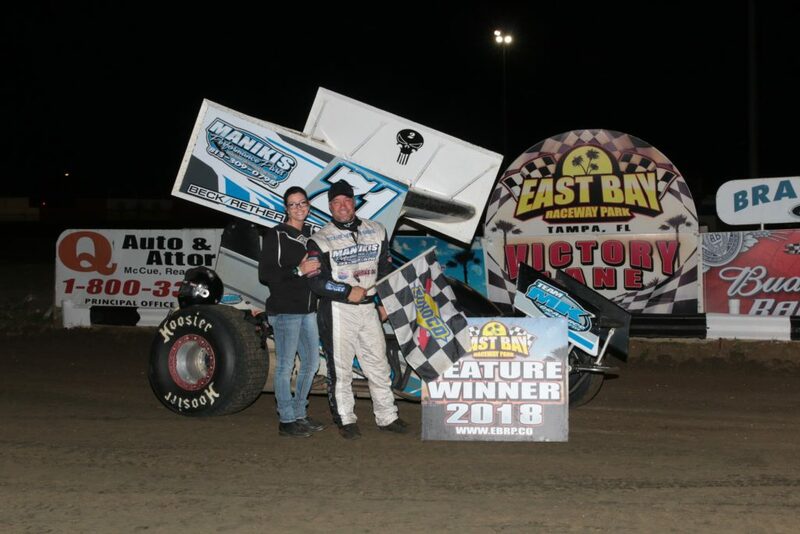 March 31, 2018 – East Bay Raceway Park welcomed the Easter Bunny and five divisions of racing action to wind up the month of March. A trio of 2017 champions were also honored in a special intermission ceremony. V8 Warriors opened the night’s action for their second visit in 2018. Nick Brown took the early lead in the 15-lap main, but some of the best battles were inside the top five. Jon Basquin and Raymond Vann had a stretch of several laps battling for position until Basquin dropped out of contention. No one could catch Brown, who rolled into Victory Lane, but his victory was denied in post-race inspection. Brown’s misfortune gave the victory to 2017 class runner-up Jason Burnside. Brown and Vann were heat race winners. The Florida Mini Sprints gathered for open wheel action, this time as winged competitor (the class competed two weeks previous as an East Bay class without wings). Kenny Brewer won his heat race while Robby Hoffman moved from the last row to the front in his heat on the first lap to claim victory. Hoffman utilized a front row starting spot in the main to break out into the lead at the drop of the green. Austin Craddock would give chase, but Hoffman masterfully sliced through lapped traffic to maintain the point. When the checkered flew, Hoffman had passed all but two cars for a convincing victory. After enduring an opening night rainout, Street Stocks were finally able to get their season underway. With nearly 20 cars in the pit, the division showed some competitive racing through the night. Heat races were won by Jesse Brown and Justin Rodgers, who came from the back to take the six-lap preliminary. 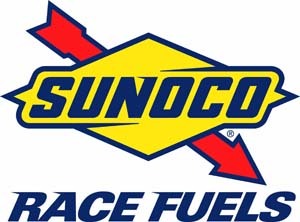 Neither heat winner would get the benefit of a good starting position in the 15-lap main and outside pole sitter Tim Gay took advantage of the fortunate draw. Gay had command of the pack until Brown worked past, only to lose the lead due to a caution. Brown moved to the top of the track to make the pass for the lead. Gay began to experience mechanical issues, falling out with less than five laps remaining. Brown still had to hold off Rodgers, but managed to get the job done. Late Model Sportsman action saw Terry Bronson move from the second row into an immediate lead by the time the field returned to the front straightaway. Bronson would only be challenged for a brief time when Forrest Gough passed the leader on a restart. Caution nullified the move and Bronson never allowed Gough or anyone else to steal the point. Bronson backed up his heat race win with the convincing Feature victory. The final event of the night saw Frank Beck assume command in the Q Auto & Injury Sprints. Beck was committed to keeping his car on the bottom of the track, which proved to be the course for most of the competitors. No one was able to get around the inspired winner, who dedicated the victory to his mother who had passed away a month earlier. Billy Boyd Jr. and 2017 Q Auto & Injury Sprint champion Justin Webster opened the night with heat wins. 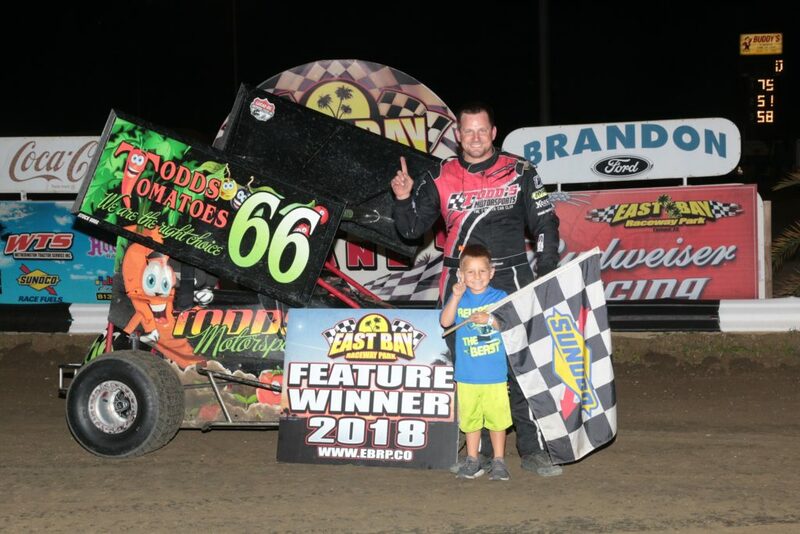 East Bay Raceway Park will open a busy April with another five-division program on April 7. Pro Late Models, Gagel’s Open Wheel Modifieds, Street Stocks, Gladiators and Micro Sprints will do battle at the Clay by the Bay. The 2017 top finishers in Street Stocks and Micro Sprints will be honored on the frontstretch at intermission. Frank Beck, Johnnie Alexander, Justin Webster, Joe Zuczek, Dylan Colding, Billy Bridges, Guy Bos, Ric Voisey, Aileen Collins-Love, Billy Boyd Jr. DNS – David Kelley, Kurt Taylor. Posted in Uncategorized on April 1, 2018 by admin.